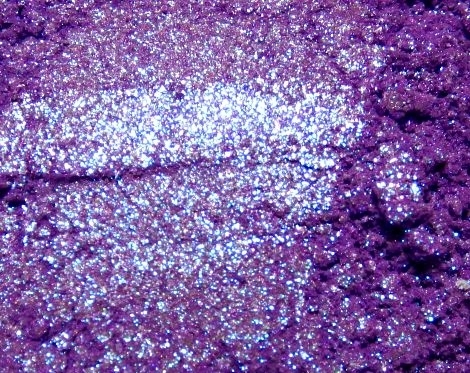 Bright shimmery purple filled with blue sparkle which turns vivid pink, making the entire shadow appear more magenta than purple when angled. 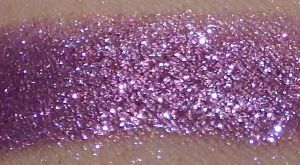 Swatch applied over regular primer to show it without enhancement, but you will need a sticky base to keep the sparkle in place (or use with our Mixing Potion for an eyeliner or shadow which lasts for hours). Not lip-safe.